Do you ever dream of expert auto mechanics in the Grand Rapids area to service your Chevrolet? The auto repair technicians at Ervine’s Auto Repair & Grand Rapids Hybrid understand Chevrolets since we’ve been around them through the years. We’d be more than honored to work on your Chevrolet and get it running like new. 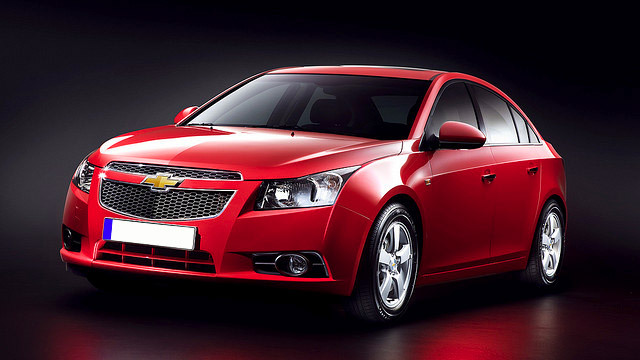 The auto repair experts at Ervine’s Auto Repair & Grand Rapids Hybrid know that a Chevrolet is a piece of Americana. Hollywood loves the Chevrolet, too, and it has starred in movies such as American Graffiti and Days of Thunder. No matter which Chevrolet you’re driving, we understand that driving one makes you happy. That Chevy logo means something, and here at Ervine’s Auto Repair & Grand Rapids Hybrid, we honor that tradition. Because of that rich history, you want to choose your auto repair specialists carefully. Not every auto repair shop in the Grand Rapids area knows their Chevrolets! At Ervine’s Auto Repair & Grand Rapids Hybrid, we’ve been in the automotive business a long time. We have seen firsthand the changes that Chevrolet has made, and we have your back. We treat your Chevrolet like it’s our own. We don’t believe in shortcuts when we’re making repairs. If someone is taking a shortcut, it’s probably wrong! We also have a 3-year/36,000-mile warranty for your peace of mind. We have five loaner cars plus a shuttle service so you can get back to work or your home. Our waiting room is comfy with WiFi and Starbucks, too. The auto repair technicians at Ervine’s Auto Repair & Grand Rapids Hybrid would love to service your Chevrolet. Come in for the top-notch service that you deserve. Schedule an appointment today. Ervine’s Auto Repair & Grand Rapids Hybrid is located at 4311 Stafford SW, Grand Rapids, Michigan 49548. We’re open Monday - Friday from 8:00 AM - 5:00 PM. We look forward to your visit!